Our Sites issues cookies to collect certain non-personally identifiable information. This process is used to help us enhance your future visits to our Sites. 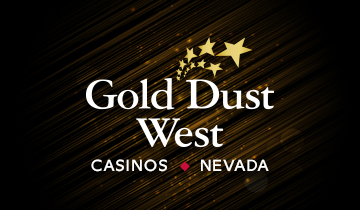 Because Gold Dust West manages hundreds of pages of content, we want to ensure that you will be able to find the information and offers that interest you. We respect your right to make choices about the ways we collect, use and disclose your personal information. You may update or modify your information or change your preferences at any time by logging in to the Edit Profile section of our Sites. Gold Dust West does not knowingly or intentionally collect any personal (identifiable) information from, or market to individuals under the age of 21. If you are aware that an individual under the age of 21 has provided us with personal (identifiable) information, please contact us immediately so that we may identify the information that needs to be removed.